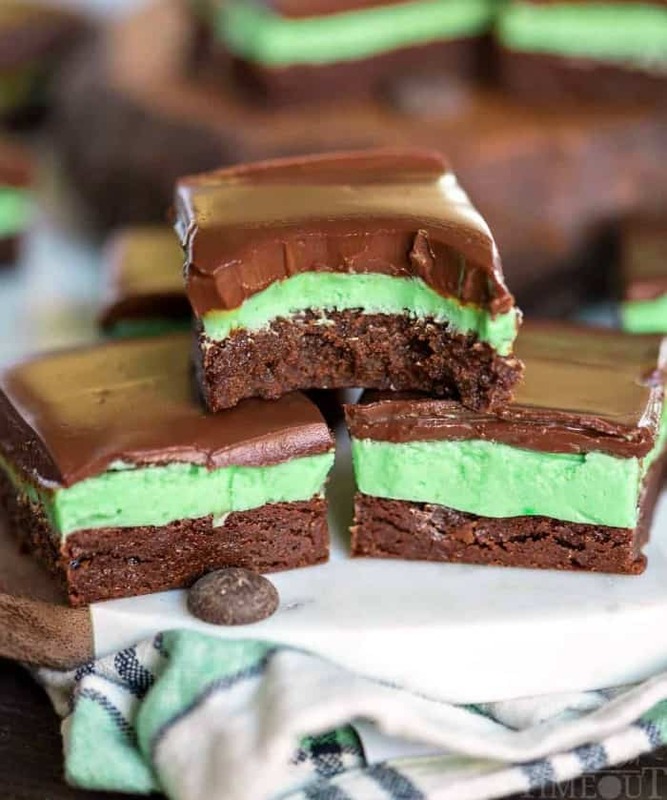 Not that we need an excuse to share some delicious chocolate mint recipes, but with St. Patrick’s Day quickly approaching it seemed like the perfect time to gather some delicious minty green dessert ideas. This is a collection of delicious ideas from other fabulous sites. To view the recipe for any of these, simply click on the recipe title and it will open up in a new window for you. Do you have a napkin handy for drool? You’re gonna need it! Let’s start off with my delicious Chocolate Mint Shamrock Mix – so good and no baking required! 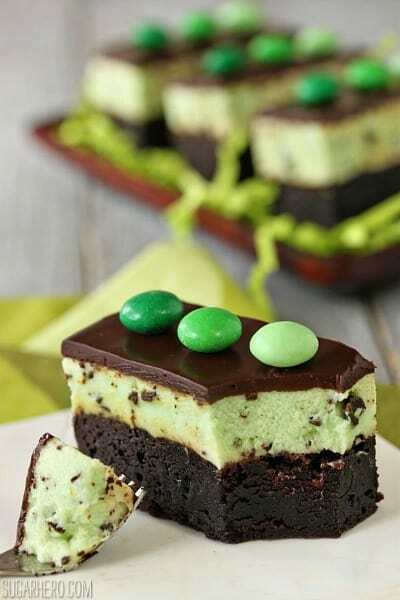 These Mint Chocolate Chip Mousse Brownies by SugarHero wouldn’t last long in my house! I won’t tell you how long I just spent on her blog drooling over her recipes. SugarHero has SO many great recipes – I had to include two of her Chocolate Mint recipes in this post! 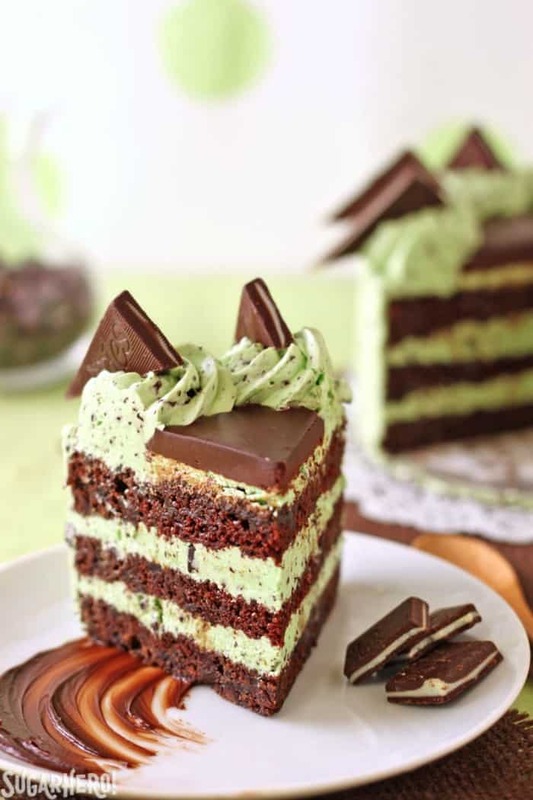 Just check out this Mint Chocolate Chip Layer Cake. My tummy is growling for a big slice of this cake! 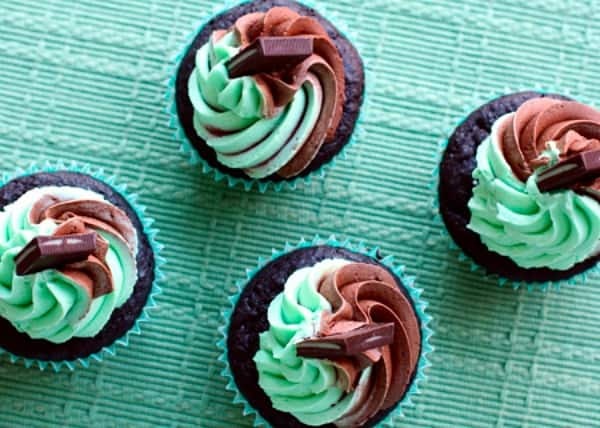 These Dark Chocolate Creme de Menthe Cupcakes by Love & Olive Oil would be perfect for St. Patrick’s Day…or pretty much any other day of the year! Have you ever had dessert before dinner? How just skipping dinner all together and digging into dessert? You can bet I have! 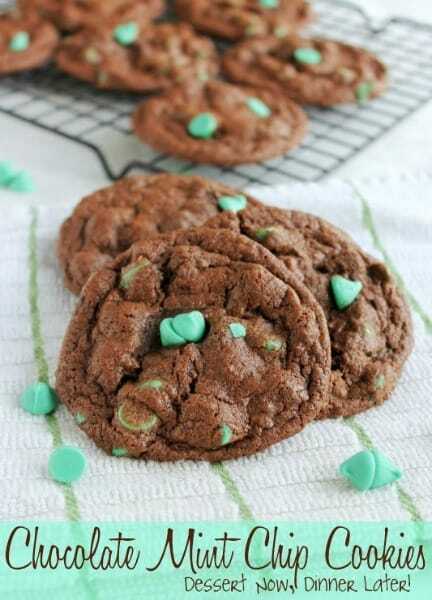 These Chocolate Mint Chip Cookies by Dessert Now, Dinner Later look like a delicious appetizer to me! No Girl Scouts knocking on your door with cookies for sale? No problem! 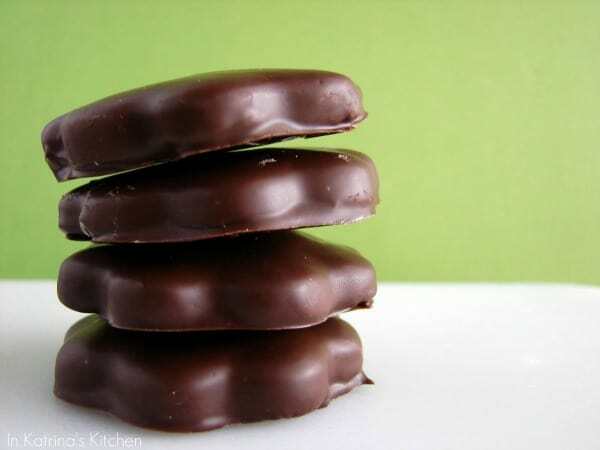 In Katrina’s Kitchen is sharing a recipe for homemade Thin Mints. 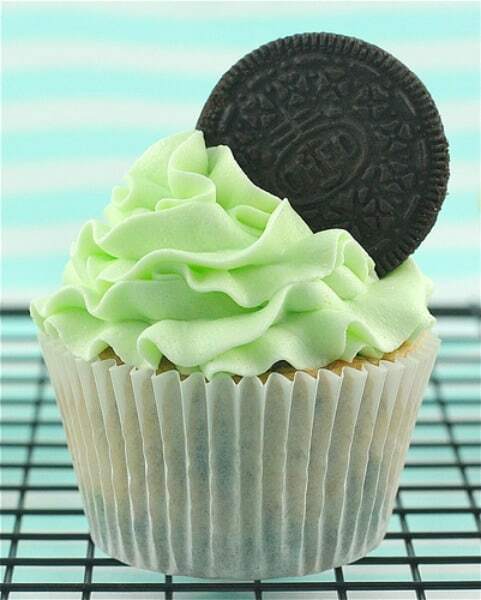 My favorite Blizzard flavor from Dairy Queen is Mint Oreo so I know I’d love these Mint Oreo Cupcakes by Made With Pink. 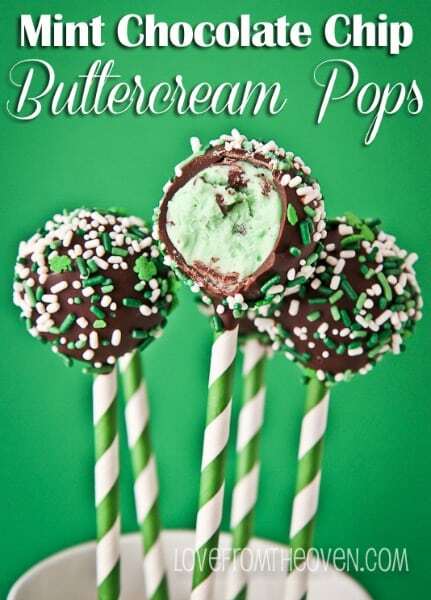 Mint Chocolate Chip Buttercream Pops. Need I say more? These pops by Love From The Oven look absolutely delicious! 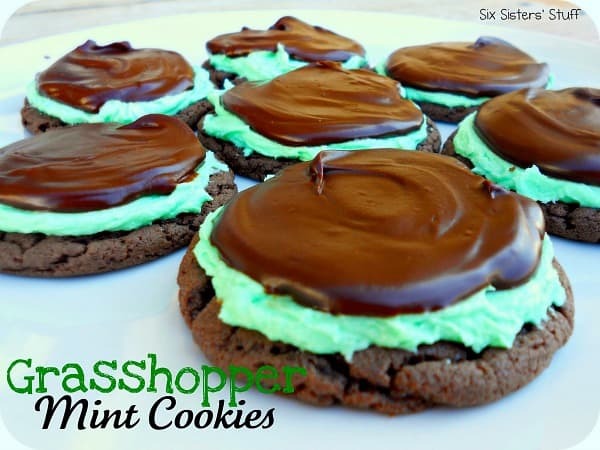 You may want to make a double batch of these Grasshopper Mint Chocolate Cake Mix Cookies by Six Sisters’ Stuff because I have a feeling they’ll disappear quickly. These Chocolate Mint Brownies with ganache topping by Mom On Time Out are making me drool. This is the type of dessert I’d hide from my family so I could eat it all myself! 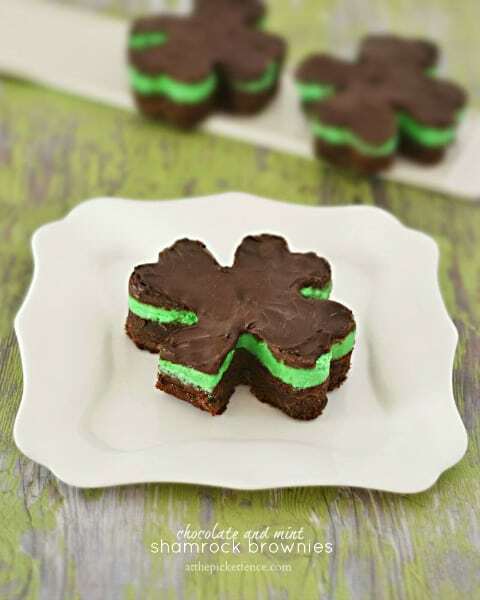 These Chocolate & Mint Shamrock Brownies by At The Picket Fence not only look delicious but they’re in the perfect shape for St. Patrick’s Day! 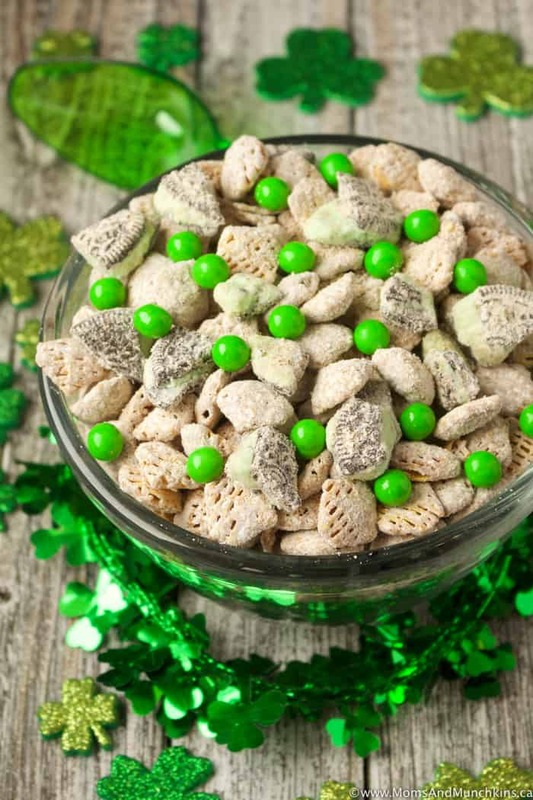 Visit our St. Patrick’s Day page for more delicious ideas. We’re always adding new ideas for family fun & easy party food. Follow us on Facebook, Twitter, Pinterest, and Instagram.